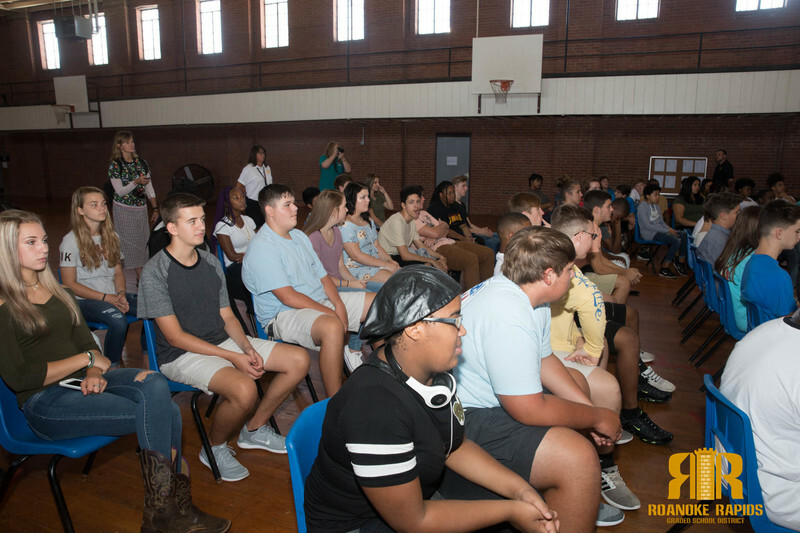 North Carolina Secretary of Administration Machelle Sanders told scholars Wednesday morning to make the community and North Carolina proud. 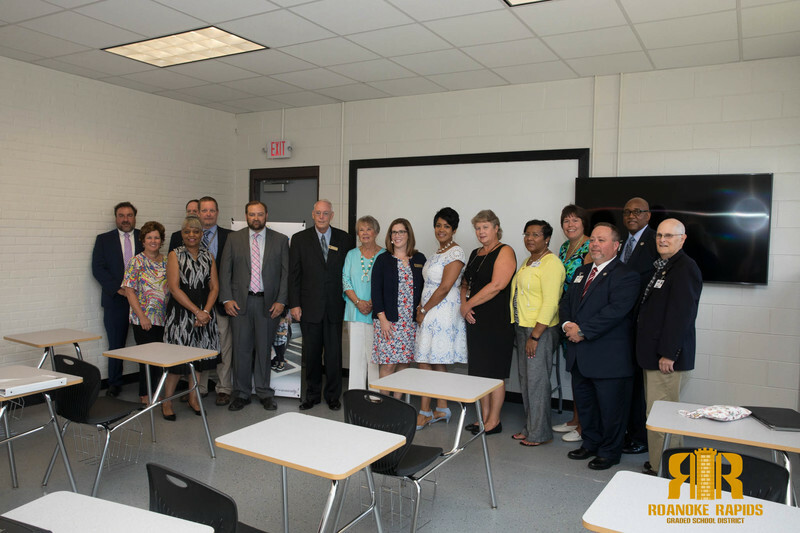 Secretary Sanders toured the new Roanoke Rapids Early College High School along RRGSD Trustees and administrators, Halifax County Commissioners, Halifax Community College leaders, and members of the State Employees’ Credit Union. 71 students started classes today as part of the RRGSD partnership with Halifax Community College allowing students to earn an associate’s degree and/or 2 years worth of college credit for free while completing high school. 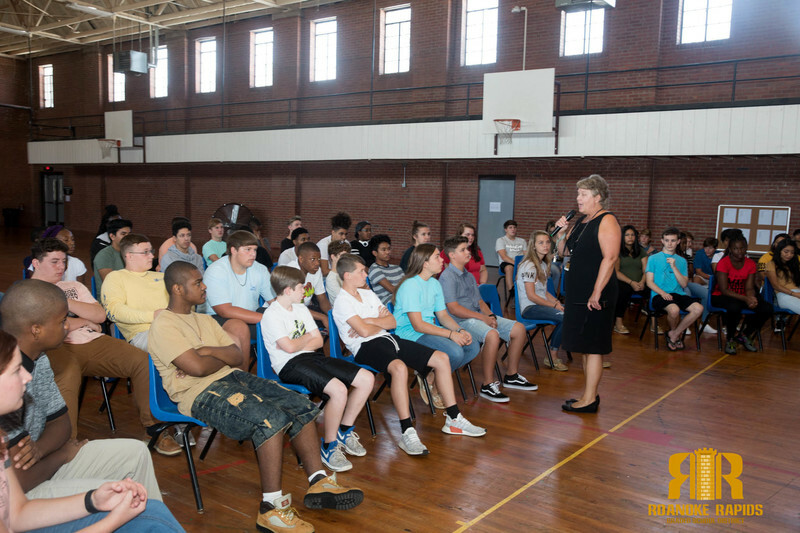 “Many of you will be the first in your family to get a college degree. 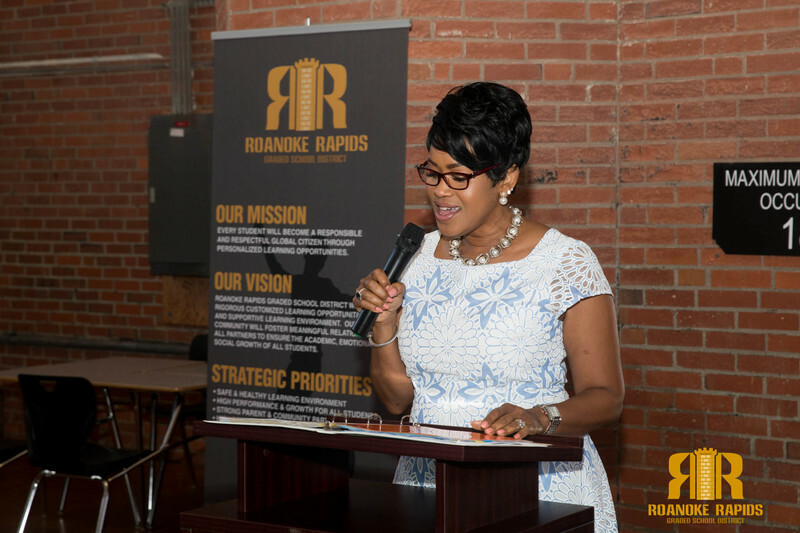 That is good for you, for this community, and good for this state,” Sanders told scholars. 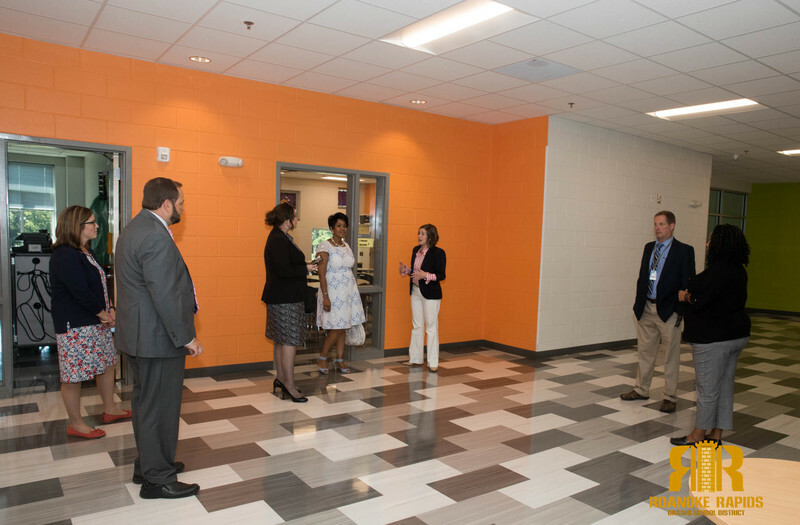 Part of Secretary Sanders visit to Roanoke Rapids was also to tour the new Manning Elementary and encourage state residents to help provide necessary supplies in support of public school students and teachers across the state as part of Governor Cooper’s 2nd Annual School Supply Drive. “Teachers shouldn’t have to dip into their own pockets to cover the cost of classroom supplies that their students need to learn,” said Gov. Cooper. 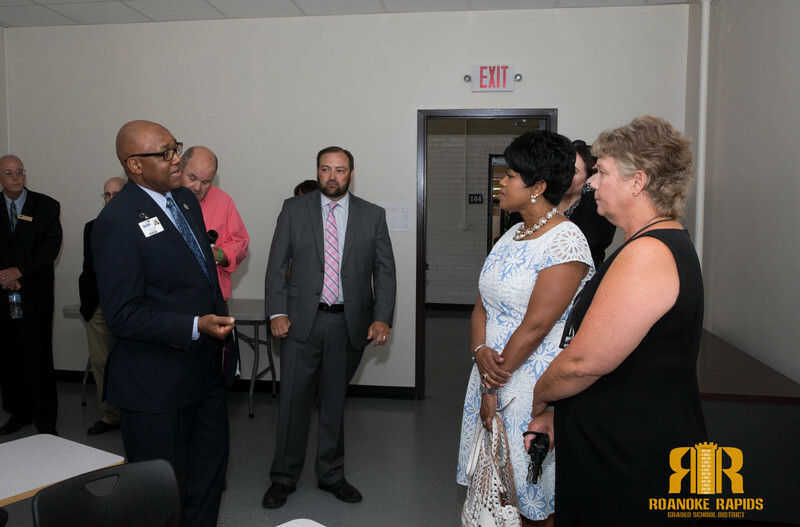 “One day we’re going to convince the legislature to make a greater investment in public schools, but until then, we want to do everything we can to get students and teachers the supplies they need for a successful school year." On average, teachers spend about $500 of their own money on supplies for their classrooms each year. For the past two years, Gov. Cooper’s proposed budget has included a $150 annual school supply stipend for every public school teacher in the state to help offset the cost of purchasing supplies. The North Carolina General Assembly did not include the teacher supply stipend in their budgets. Donation bins will be available locally at all SECU (State Employees’ Credit Union) branches. All supplies donated locally will stay in the community. “When you’re shopping for your family’s school supplies, consider purchasing an additional item from the supply list and donating it at a drop off location,” Gov. Cooper said.